Location: Cranford, NJ & unanticipated client sites across the US. Must be willing to travel and/or relocate domestically. Duration: Permanent position, Full time, Mon - Fri, 40 hours per week. Create statistical models, Data Maps, interact with users to understand their requirements from a data analytic, visualization & UI/UX perspective. Analyze data to find patterns/business insights using Tableau, SAS, SPSS, C. Deliver reports to Business team & work proactively with teams to build required dashboards. Tune Tableau Dashboard & Teradata SQL query. Work on data warehouse life cycle from data source to ETL to transformations to multidimensional models like data marts, star schema & Reporting. Support analytical methodology working on data-related activities of trends & data transformation. Education and Experience required: Bachelor's degree in Statistics or Mathematics or Computer Engineering plus 5 years progressive experience in job offered or as Statistician or Analyst. In lieu of Bachelor's degree and 5 years experience will accept Master's degree in Statistics or Mathematics or Computer Engineering plus 2 years experience in job offered or as Statistician or Analyst. Prior work experience must include 2 years experience in Tableau, SAS, SPSS, C, Teradata SQL. Mail resume to jobs@useready.com SUVIP SOLUTIONS INC. DBA USEREADY, 11 COMMERCE DRIVE, SUITE 202, CRANFORD, NJ 07016 Ref: SSI-10. Analyze business data processing problems to implement & improve computer systems. Support/review data transformations by analyzing user requirements, workflows & scheduling limitations using Teradata, SQL Server, Alteryx, SAS, Python, VBA, Tableau, R, Snowflake. Do performance testing, analyze user requirements & support Scrum-related activities using Agile methodologies. Education and Experience required: Bachelor's degree in Computer Science or Engineering or IT or IS plus 5 years progressive experience in job offered or as Programmer or Analyst. In lieu of Bachelor's degree and 5 years experience will accept Master's degree in Computer Science or Engineering or IT or IS plus 2 years experience in job offered or as Programmer or Analyst. Prior work experience must include 2 years experience in Teradata, SQL Server, Alteryx, SAS, Python, VBA, Tableau, R, Snowflake, Agile methodologies. Mail resume to, Suvip Solutions Inc. dba Useready, 11 Commerce Drive, Suite 202, Cranford, NJ – 07016. REF: SSI9. Location: Cranford, NJ and unanticipated client sites across the US. Must be willing to travel and/or relocate domestically. Analyze business data processing problems to implement & improve computer systems. Support automation, improve existing systems using Tableau, Tomcat, VMWare, AIX, WebSphere, Linux, SQL Server, SAP BO, IBM Cognos, Postgre SQL. Liaise with cross functional teams to assist in Business Intelligence Reporting, code reviews & create unit test cases to support data validations. Bachelor's or equivalent (will accept any combination of education and experience determined equivalent to bachelor's degree) in Computer Science or Engineering or IT or CIS plus 2 years experience in job offered or an Analyst or Engineer or Programmer. Prior work experience must include Tableau, Tomcat, VMWare, AIX, WebSphere, Linux, SQL Server, SAP BO, IBM Cognos, Postgre SQL. Mail resume to jobs@useready.com SUVIP SOLUTIONS INC. DBA USEREADY, 20 COMMERCE DRIVE, SUITE 210, CRANFORD, NJ – 07016. Ref: SSI-8. Mail resume to jobs@useready.com SUVIP SOLUTIONS INC. DBA USEREADY, 20 COMMERCE DRIVE, SUITE 210, CRANFORD, NJ – 07016. Ref: SSI-7. Analyze business data processing problems to implement & improve computer systems. Support/review data transformations by analyzing user requirements, workflows & scheduling limitations using Tableau, Sybase, SQL, Python, Selenium, Apache MR Unit, VB scripting, Perl scripting. Do performance testing, analyze user requirements & liaise with cross functional teams to assist with code reviews. Bachelor's degree in Computer Science or Engineering or IT or IS plus 5 years progressive experience in job offered or as Programmer or Analyst. In lieu of Bachelor's degree and 5 years experience will accept Master's degree in Computer Science or Engineering or IT or IS plus 2 years experience in job offered or as Programmer or Analyst. Prior work experience must include Tableau, Sybase, SQL, Python, Selenium, Apache MR Unit, VB scripting, Perl scripting. 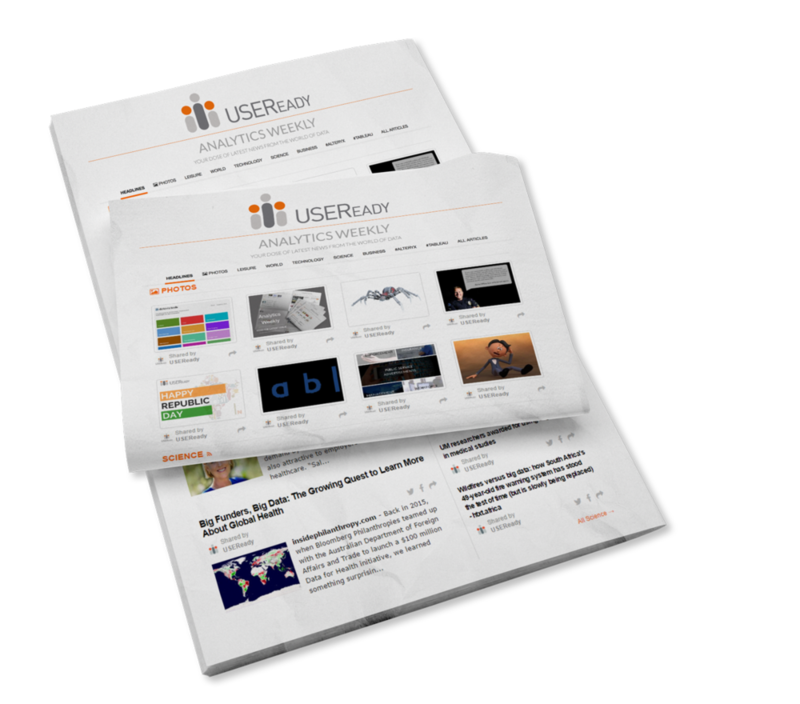 Mail resume to jobs@useready.com SUVIP SOLUTIONS INC. DBA USEREADY, 20 COMMERCE DRIVE, SUITE 210, CRANFORD, NJ – 07016. Ref: SSI-5. Install, configure, support LAN, WAN & Internet systems. Implementing site-to-site VPN & dynamic network protocols using BGP, EIGRP, OSPF, STP, MST, RSTP+, PVST+. Assist in network analysis of data communication faults within hardware & software; implement network security measures & monitor systems using Cisco Enterprise Routing & Switching, F5 Load Balancer, Cisco ASA Firewall. Bachelor's or equivalent (will accept any combination of education and experience determined equivalent to bachelor's degree) in Computer Science or Engineering or IT or CIS plus 2 years experience in job offered or an Analyst or Engineer or System Administration. Prior work experience must include 2 years experience in Cisco Enterprise Routing & Switching, F5 Load Balancer, Cisco ASA Firewall, BGP, EIGRP, OSPF, STP, MST, RSTP+, PVST+. 5+ years of network build & engineering experience in designing networks to improve operational proficiency. Must be capable of lifting and moving heavy network equipment (> 55 pounds) where required. Implement configurations and implementation instructions into change management system and insure that all approvals and processes are adhered to compliant with Audit. Perform installation and configuration of Cisco, Arista & Juniper devices. Complete turnover documentation and update all systems with the new install information. Clean up all legacy devices and insure all systems in the environment have been cleaned up. Perform system level documentation on platforms and assist in project tracking and documentation. Generate test plans or scripts detailing network related configurations. Must be willing to work in Greenzone times which are weeknights and weekend 12:00am to 6:00am EST to perform network changes. Other: HSRP, VRRP, VXLAN, VPC, Multicast, IGMP, PIM, MSDP, AnyCast, IPSec, SSH, NTP, SMTP, SNMP, AAA, TFTP, TACACS+, RADIUS, STP, VLAN, VTP, 802.1Q Trunk, Etherchannel, PAGP, LACP, DNS, LDAP, AD, H323, MGCP, SIP, TCP/IP, , IPv6, Ethernet, FastEthernet, GigabitEthernet, Token Ring, T1/T3, Frame-Relay, MPLS, VPLS, Metro Ethernet, ISDN, OC3, OC12 etc. SDN: Knowledge of VMware Virtual Infrastructure using NSX and Automation using Puppet and Chef. Must be able to manage multiple projects and multi-task effectively. Must be able to work within accelerated deliverables and within a team environment. Knowledge of Investment and Consumer Banking, and industry standard financial applications is a plus. 4-10 years of experience with WAN design and implementation. Change management experience is a plus. Hands on experience with Cisco routers and switches. The Sales Manager/Rep is responsible for managing all aspects of sales department starting from Identifying prospects to Sales Cycle closure. Major duties include: Meeting Sales Target of Sales department, building up strategy for achieving the target, providing management communication to the sales department, training, coaching, monitoring and reporting on sales metrics and managing the sales process overall. • Work on existing customer base and also bring in New Leads. • Ensure right communication during Sales, over call / Email to keep highest Customer satisfaction. • Develop and implement sales plan. • Oversee the achievement of performance targets and budgeted goals. • Develop and implement business tactics to support organizational strategies and goals.